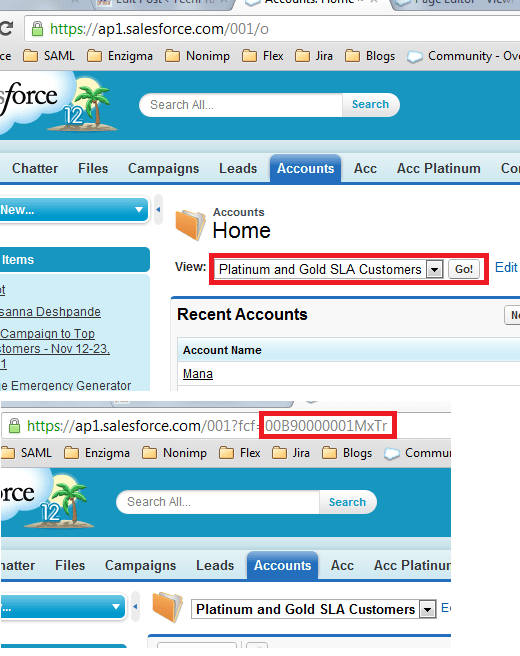 Many time I have seen Salesforce Admins wants multiple tabs for same object depending upon the RecordTypes or some other criteria like separate tabs for Premium Account, Gold Accounts and Silver. Indeed they can create multiple views and use the picklist and use “Go” button. But it has disadvantage like multiple clicks, not that user friendly. In short there is no direct way of creating multiple tabs for same object in Salesforce. Then I thought of creating an Apex component which will take some inputs like ObjectName, Fields to display and criteria/Filter. This appraoch was needing too much of coding and generic code writing for supporting it for all objects. And it was limited to the query filter one can have. Creating multiple views is the feature inbuilt provided by the Salesforce and is very powerful. So I thought to use the apex:enhancedList control which takes the viewId as a parameter. You can find the documentation for the EnhancedList here. The most important thing is apex:enhancedlist only requires the viewid. I created a simple VisualForce Page like below. I wanted to reuse this page so I didn’t added any standard controller to the Page itself. Then now comes the step of creating the Tabs. Sample purpose I am taking Account’s views. Custom Object Tabs: – Not suitable to above approach. VisualForce Tabs: – This will work but do not allow passing the parameters from the URL, so this will not allow reuse of the same page. Web Tabs: – This allows any URL integration into the tab and suits requirement. Complex task is to find the viewId. I didnt found it straight forward. Now add this tab to your SelectedTabs. AS ITS A WEB TAB I WAS NOT ABLE TO SET SELECTED TAB. ANY WORK AROUND? 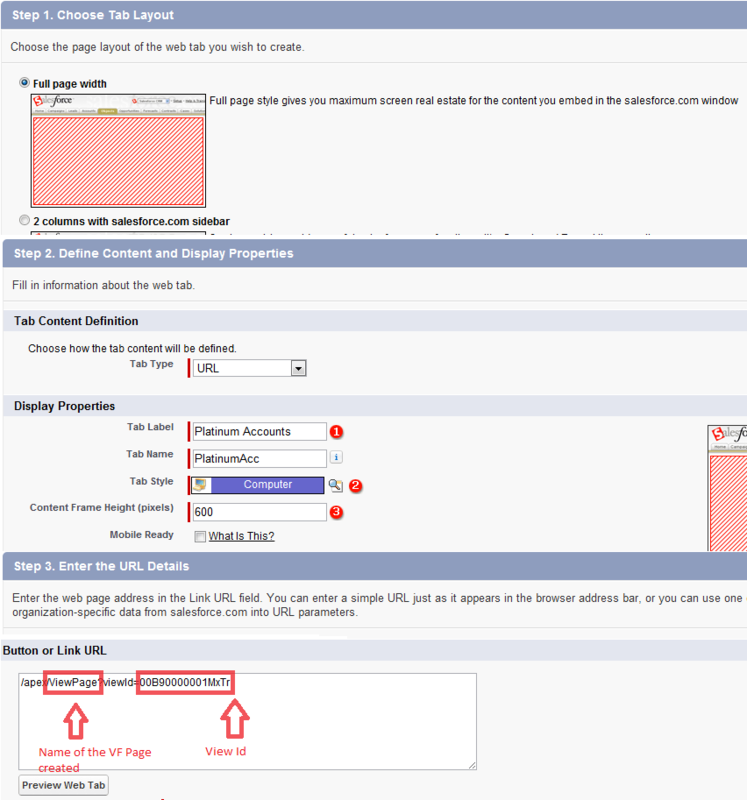 In VFPage one can directly access the label of any particular field of sObject. In future if the label is changed in the sObject, same will be reflected in the VFPage. It also avoids hard-coded labels and make it more flexible.